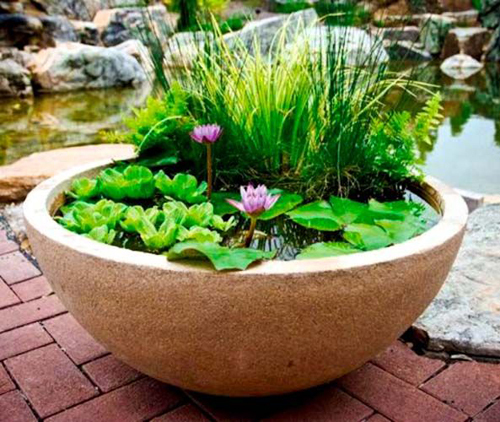 Do you know what you really need for a water garden? A pot that holds water! When you combine, a colorful planter, water, plants, stones, greens, a pump and a fountain nozzle, you can make a stunning water garden with ease. 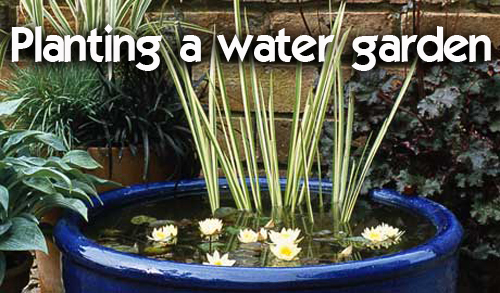 The steps for making a water garden are easy to follow. 1. 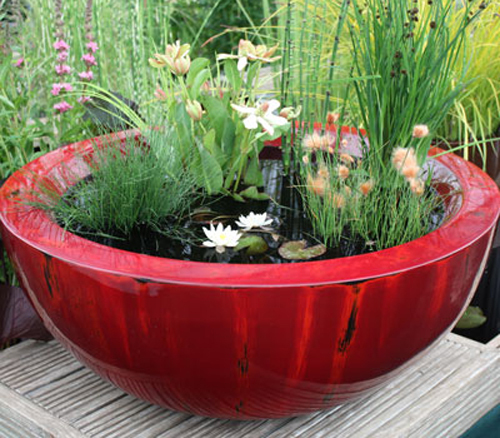 Select a colorful, generous sized garden pot that is water proof. You do not want to use low fired terracotta clay pot, since terracotta will absorb water and break down over time. Get a lovely glazed container since these have been fired twice in a kiln and will repel water unless, and this is a big unless, they get cracked or chipped. Then the water will search out the crack and penetrate the pot, causing it to break down over time. The last think you will need to do is plug the drain hole in the bottom if there is one. Arizona Pottery recommends using a silicone product since these are waterproof. Flowers: Japanese iris, water lily, cardinal flowers or march marigold. Greens: Water clover, houttuynia, horsetail, or fiber optic grasses. 3. Fill the inside plastic pots with heavy garden soil, not lightweight potting mixes. They will float up. 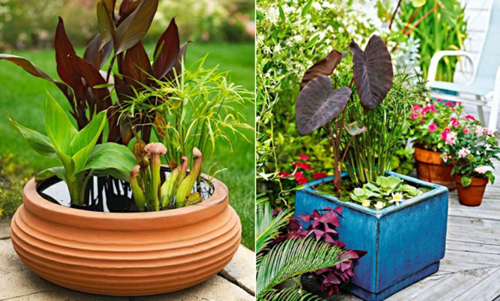 Pot the plants just like you would any other garden container. Leave room for a layer of gravel to keep the soil from washing away. Submerge the pot in water. 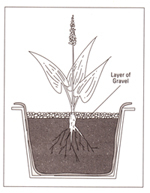 Place most plants so that the rim are at water level. You can also float lilies on the top. 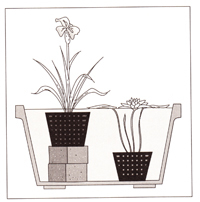 Place cement block in the bottom to add height to the planted pot along with dimensional character. 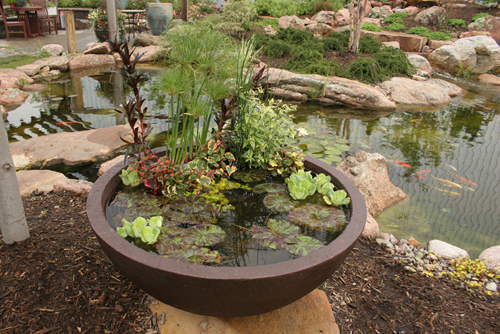 Be creative when selecting the wonderful textures and brilliant flowers of aquatic plants. Use both submerged plants and floating for the most beautiful visual effect. Try for fragrance to add that extra touch and finally go for a contrasting color effect. Dark greens, with light whites and pinks. Lastly, don't be alarmed if the water turns green at first. This happens with the nutrients in water create small algae. It is only temporary and will quickly clear. By adding a small pump you can create that soothing sound of trickling water that everyone loves.